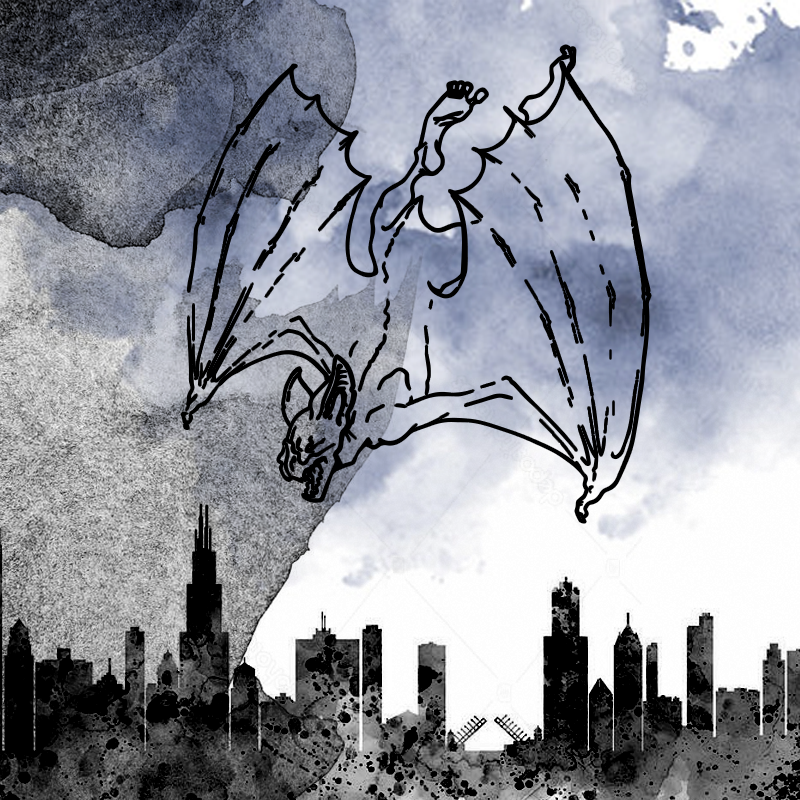 Three separate witnesses have reported seeing an unidentified flying humanoid over Chicago between 10 p.m. April 15th and 2 a.m. April 16th, according to the Mutual UFO Network (MUFON). According to the report, a bright green object traveling north to south at the horizon was seen about five minutes after the creature flew off. The second report, Case 83243, took place thirty minutes later, at 10:30 p.m. The witness was said to be "hanging out with my boys and a few friends" in Chicago at the time of the sighting. In Mexican folklore a Lechuza is an old woman—often a witch, or 'bruja'—who can turn into a giant, black bird. In most stories, the bird is an owl, but sometimes it is described as an eagle. MUFON has compared the sightings to those of West Virginia's Mothman. Mothman haunted Point Pleasant, WV, from November 12, 1966, to December 15, 1967, and was known for his large wingspan, glowing red eyes, and propensity for suddenly appearing in front of witnesses. Some researchers speculate that such sightings are a global phenomenon, citing Cornwall, England's Owlman as evidence. Cornwall is said to host a creature bearing a strong resemblance to the Mothman, with stories of the cryptid first surfacing in the 1970s. It is described very similarly to Mothman, complete with large wings and glowing eyes. In addition, stories similar to those submitted above have also been reported in Texas and Arizona, in 2009 and 2016, respectively. MUFON has advised that "Illinois MUFON State Director Sam Maranto and other staff members are investigating. This account is taken merely from the early witness reports filed with MUFON. Please remain skeptical until witness interviews have been conducted and more case evidence is assembled."